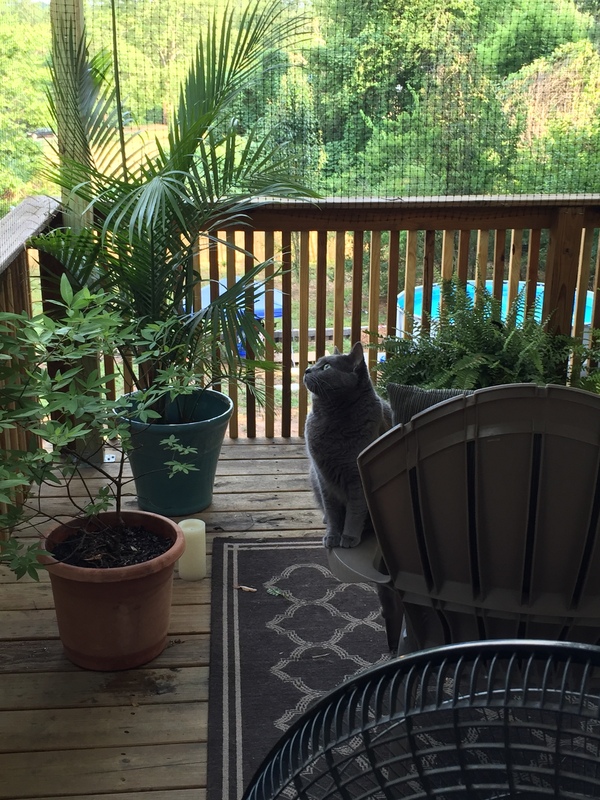 Cats with Plants or Plants with Cats? 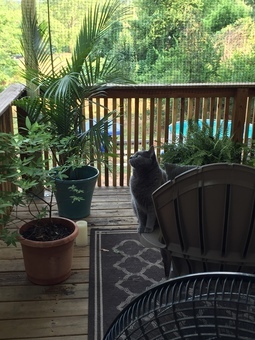 I have recently adopted a kitty who has been very curious about plants. So far, I have already potted and repotted six plants now. She would jump into and dig in the soil of my floor plants. Anybody has tips how to keep the kitty away? I have tried the essential oil i read online, but it only worked for a sec and she jumped right back in as soon as the scent dissipated. HELP! KADyer Lol 😅! Sorry, but I have a Cat as well. She likes to HIDE within them (plant clusters, etc ☺️). She has 'pawed out soil' as well as my 'Potted-Semi-Hydroponic' plants-she tosses out the "LECA PELLETS'!!! CATS....Gotta Love em'! Courtney Stroot I put pinecones in the soil to keep the cats from thinking is a second litter box. Doesn’t always help keep them away from the plants in general but it’s a start. They don’t like the sharpness or the crunch of the pinecone when they step on it. PlntNrd Some cats can be very persistent and unwavering, no matter what kind of plant it is. 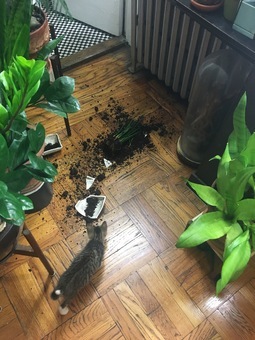 I had a bunch of Cacti many many years ago and my cat somehow found a way to pull out the needles without hurting himself and then left them around my house for me to step on! PlntNrd Yes, that’s a variegated Peperomia argyreia, aka Watermelon Peperomia. 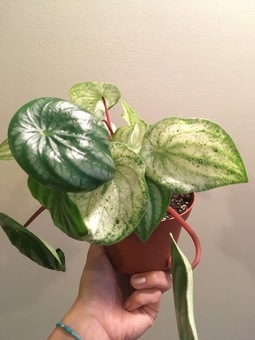 I believe the variegated kind are a bit rare, at least hard to find and they are, at least, double the price of the non-variegated. That’s a great find! Paula Diamond Roman Want! Where did you buy it? Erin Where can I find one?! Can anyone please tell what's going on? My Fiddle has been dropping leaves for about two weeks now. Please hellllp! Beth The same thing happened to mine recently, it is a stick right now. 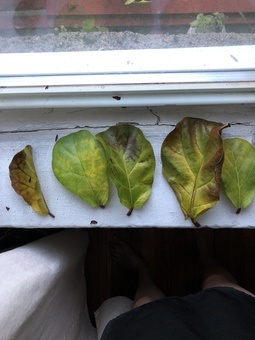 Fiddle leaf figs are VERY finicky. If you just recently moved it, that could be why. You have to find the sweet spot in your home when it comes to lighting and once you figure out that and how often to water, they are pretty low maintenance. Is the soil consistently moist with good drainage? Mine stresses out of it goes too long without water but they can not handle sitting water. I like to use plant watering stakes (but still check up on) my plants I have issues with when it comes to watering. Calendar reminder to water plants? I set up a calendar reminder for watering plants every 7 to 10 days. Is that ok? I do want to learn if there's any tale-tell sign when plants are thirsty? Thoughts? Erin When I first started collecting houseplants- I was watering them every Sunday like clockwork. No surprise that most of them died from overwatering... Now (after a few years of trial and error!) 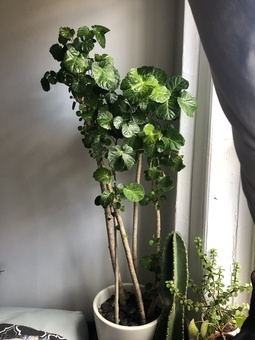 I've learned to wait for visual signs before I water like Jam mentioned below (drooping leaves, wrinkling, etc.) Hasn't really failed me yet! And I find myself watering a lot less often than I was in the beginning. Jam Y8 I check all of my plants soil once a week and only water if the soil is dry from the top 2". 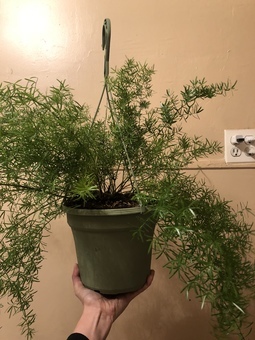 I think a tale-tell would be curling, drooping leaves or wrinkling (for succulents/cacti). hope this helps!